/ Modified may 14, 2018 1:24 p.m. The Navajo Generating Station, April 2018. New legislation would keep the West's largest coal-fired power plant open. 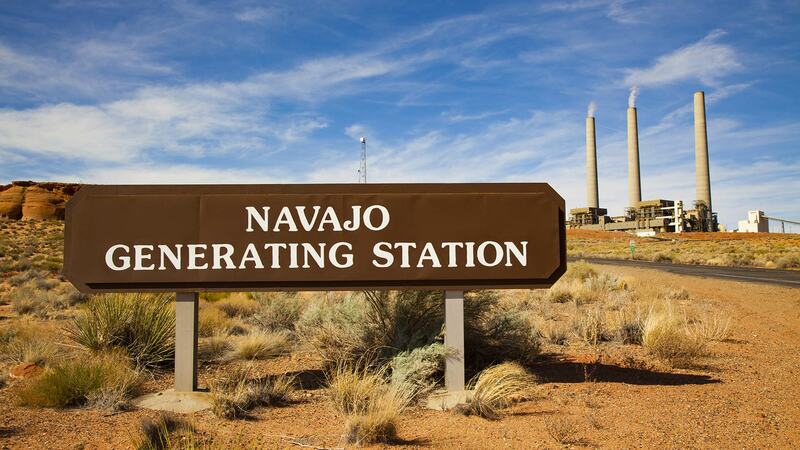 The Navajo Generating Station was on track to shut down next year. U.S. Congressman Paul Gosar of Arizona plans to introduce legislation that would exempt the Navajo Generating Station and the coal mine that feeds the plant from federal environmental regulations — both the National Environmental Policy Act and the Clean Air Act. Navajos are divided over jobs and environmental concerns. Nicole Horseherder, who grew up next door to the mine, said this bill should be called "a tribal exploitation act." "It basically says the air quality and water quality on the Navajo Nation doesn't matter," Horseherder said. "It basically allows Native homelands to be super-fund sites." The legislation also would require the Central Arizona Project, the plant's largest customer, to continue purchasing power from the Navajo Generating Station. That would cost the utility's customers more, according to a 2016 state audit. A House committee is scheduled to hear the bill Wednesday.